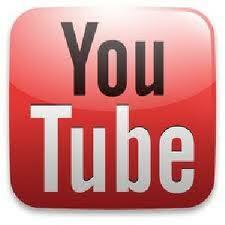 Without doubt YouTube is the most under utilized marketing tool by small business. Video marketing is usually considered “too hard” by most small business owners, and yet can be a really effective tool in your advertising. YouTube has a very high PR for search engines, which when used correctly can help bring your products and business website higher in the search results. So what are the best methods for using YouTube for marketing? The primary part of the whole thing is obviously the videos you put on there. Unless these are interesting and engaging, it will be hard to get people to share or tag them. Contrary to popular belief, the videos don’t have to be big budget, highly polished productions. The key is to make your videos interesting and informative without being boring or dull. You can use the personal approach when taking your videos, walking the viewer through who you are and what is special about your business, or simply put your products onto a video catalogue and let them speak for themselves. Another key is to use the best title, description and keywords when loading the video onto YouTube. These should be targeted towards what your potential viewers would search for in relation to what you offer. They should not be “overdone” though and should remain relevant and not spammy. Lastly, make sure your YouTube profile has a good description of your business and a link to your website so that viewers can find you easily. I.C. Enterprises offers a video service to convert photos, PowerPoint presentations and other media into video that can be used on YouTube.